One of the most important decisions you must make while shopping for a new HVAC system is whether you will use a single-zone or multi-zone system. Remember that single-zone systems are best for use in small homes or when you only need to control the temperature in one or two rooms while multi-zone systems will allow you to heat and cool many different rooms. You can also evaluate system capabilities, along with your own needs, to determine the type of unit best suited to your home. Single-zone heating and cooling units are connected to a single air handler inside your home or business. The outdoor air unit and indoor air handler are connected by a refrigerant line that facilitates the carriage of treated air from the outdoor unit to your indoor spaces. Remember that a single-zone unit can only be connected to one air handler. Homeowners who only want to cool one or two rooms. Small rental properties or guesthouses. Garages, basements and building additions. Outdoor multi-zone units provide the power to create the cooled or heated air that you pump into your home or business. Unlike single-zone units, multi-zone systems can be connected to more than one indoor air handler. Homeowners who want to heat or cool a large home evenly. Business owners who need to heat or cool a large building. Individuals who want to control the temperature in each room individually. Families whose members have different temperature preferences. Indoor air conditioning units are responsible for delivering pleasantly treated air from your heating or cooling unit to your home or business. Whether you are considering having a new system installed or want to update your current system, it's important that you choose indoor units that are compatible with your needs and fall within your budget. You'll find that Mitsubishi Electric offers a wide variety of indoor units designed to work seamlessly with ductless air conditioners and ductless heat pumps. Sometimes known as air handling units, indoor HVAC units are an integral part of your heating or cooling system. They distribute air to your rooms. Most of these units can be controlled individually via a thermostat or wireless remote. Indoor units can be used with both single-zone and multi-zone systems, making them one of the most flexible HVAC options available to today's consumers. 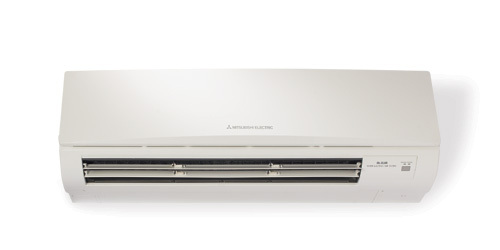 Mitsubishi Electric offers three primary types of indoor air unit. Each type of unit is designed to meet specific system needs while providing a high level of efficiency. Mitsubishi Electric is proud to offer wall-mounted, floor-mounted and horizontal ductless indoor air conditioning units. Wall-Mounted Systems: These systems feature air handling units that are mounted high up on walls. They provide excellent cooling power and are ideal for homeowners who want to put their air handling units out of reach. Floor-Mounted Systems: These systems feature large units that are situated on the floor and provide ground-level heating and cooling power. Horizontal Ductless Systems: These systems can fit into slots cut for ductwork to provide an attractive, ductless comfort solution. Which Ductless System is Best for My Needs? Before you can choose the right ductless system for your needs, you'll need to have professional load calculations completed. These calculations will allow you to determine the size unit you need to use in your home. 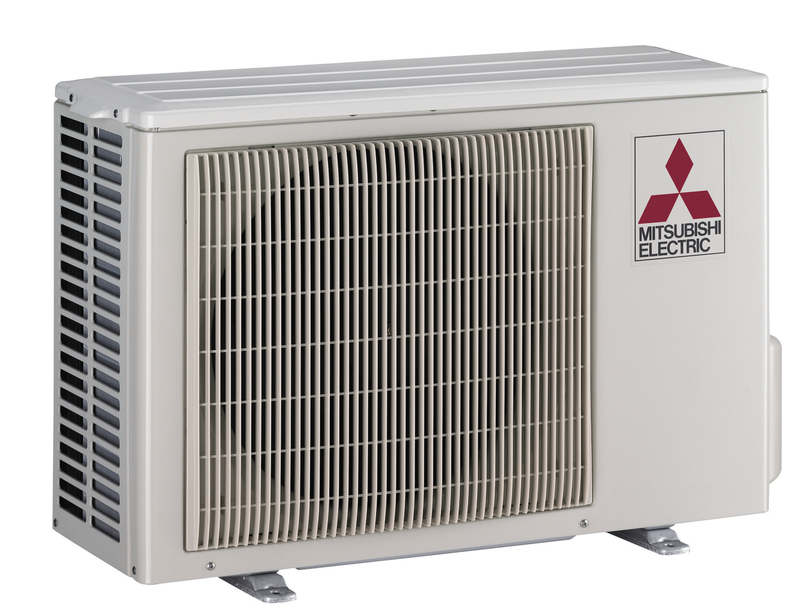 Remember that having a professional complete Mitsubishi Electric ductless heat pump installation and Mitsubishi Electric ductless air conditioning installation is an absolute must. As your Mitsubishi Electric Contractors, we'll be happy to help you with all these needs and more. Your HVAC system keeps you comfortably cool or warm inside your home even in extreme weather conditions. Whether you use a split-system air conditioner or a heat pump, you know that your home comfort system is ready to go at a moment's notice. Of course, heating and cooling your rooms requires more than just major HVAC devices. It also requires a thermostat or remote to set the temperature and control the operation of your heating and cooling units. Home and business owners today can choose from several different thermostats and remotes to complement their Mitsubishi Electric air conditioning units and heat pumps. To get the most out of your HVAC system, you should choose a thermostat that provides you with reliable, energy-saving service. Remember to carefully weigh your own needs against the specifications of your current ductless heating and cooling units before making a final purchasing decision. You'll have three primary options when choosing a new remote or thermostat. These remotes come standard with all M-series wall-mounted and floor-mounted air handling units. They can also be used with P-series units. 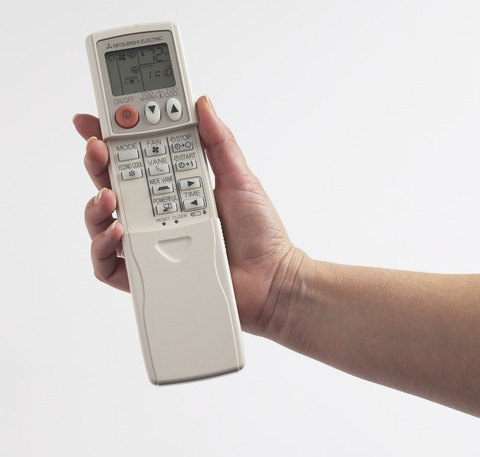 A handheld wireless remote allows you to control the air temperature in each room with a mounted unit. These remotes are absolutely essential if you want to use a unit that is mounted high on a wall. They do not have a long operating range, meaning that you will only be able to control the temperature when you are near the unit. Homeowners who use only one air handling unit. Individuals who want no-frills heating and cooling controls. Remote temperature controller kits are designed for use with M-series and P-series devices. They communicate with the air handling unit using RedLINK wireless technology, allowing for easy control of an air handling unit no matter where you are. These controls feature a back-lit display to allow for use of the unit both during the day and night. Homeowners who want to control their heating and cooling systems from rooms throughout the house. Individuals who want to eliminate the distraction of getting up and adjusting the temperature while working, reading or watching TV. Parents who want to adjust air temperature in their children's rooms at night without waking them up. More commonly known as thermostats, wired remotes are compatible with both M-series and P-series devices. They are hardwired to each device and mounted on the wall to allow for easy temperature control in every room of your house. Many homeowners prefer to use a ductless heater with thermostat to help control energy costs. Homeowners who want to use a multi-zone heating and cooling system. Business owners who want to control all building cooling and heating from one central location. Homeowners who want to create a seven-day heating or cooling program to cut back on energy usage.